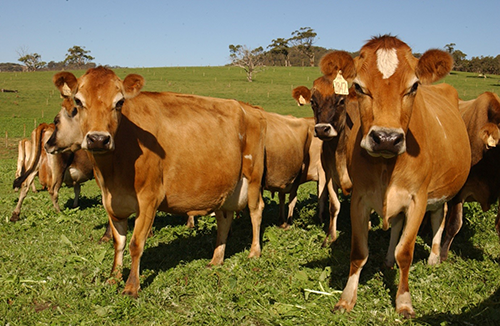 Richmond Dairies is located at the heart of the rich and green northern New South Wales and South East Queensland farming country, a region well known for its dairy cattle. We have easy access to the major east coast highway networks. 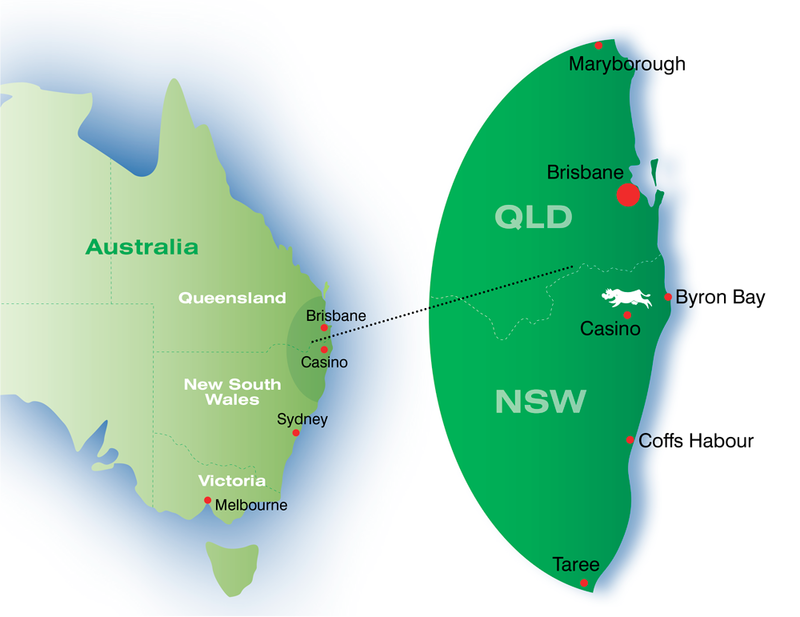 We are three hours drive from Brisbane and we have a direct route to the Port of Brisbane allowing us to distribute our products to worldwide markets. Northern New South Wales and South East Queensland boast a unique combination of a mild climate, high and consistent rainfall and fertile volcanic soils which produce rich, green pastures all year. Because of our climate and pastures our cows graze in the open paddocks all year without the need for sheds or feedlots. The dairy industry was established in this region more than 100 years ago. We are famous for producing high quality milk, butters and creams.